Teddington Studios has an interesting past, beginning with the site acquired in the 1880’s by wealthy stockbroker Henry Chinnery. He was involved in the building of St Albans Church (now the Landmark Arts Centre) and had a keen interest in the ‘cinematograph’. Film-making at the site began on the day that he allowed a group of local film enthusiasts to use his greenhouse at Weir House as a studio during a rainstorm. Short comedy films were recorded on the grounds in 1912 and later from 1916-22 Master Films were the first to use an enclosed stage here to record full length feature films. 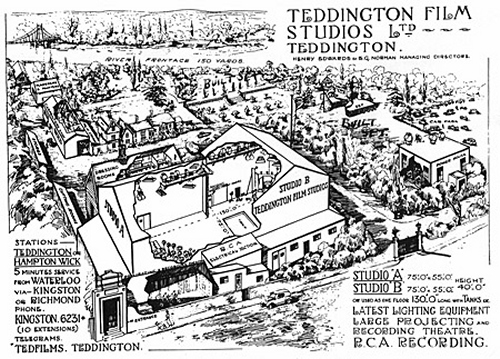 In 1931 the property was sold and was renamed Teddington Film Studios and expanded considerably and the latest equipment was installed on site. In the same year, Warner Brothers who had been looking for a British base took over the site. The 1930’s saw a major rebuilding programme and many films being recorded here along with Errol Flynn’s first screen role. Just before the end of WWII, a V1 flying bomb hit the studios and destroyed two stages, several buildings and killing three employees. Rebuilding began in 1946 and filming returned, tailoring off in the 1950’s due to lack of distribution abroad and cinema taxes, for a brief time the site was leased to the Hawker Aircraft Company. Independent commercial television began in the UK in 1955 with companies such as Associated Television (ATV), Granada and ABC Television being allocated transmitting licences. ABC purchased the Teddington site in 1958 and adapted the studios for television production, installing the first video tape recording equipment at a TV studio in Europe and generally making a state-of-the-art location for filming and production of colour TV. In 1960 The Studios began recording the hugely successful Avengers and at the end of this decade ABC Television merged with the London company Rediffusion to form Thames Television. 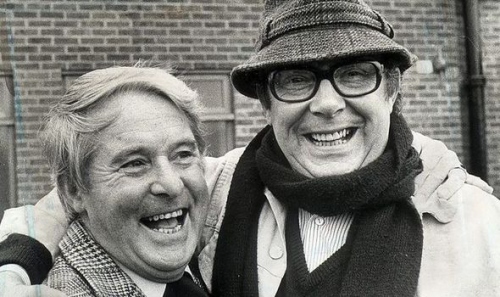 Over the next two decades produced an immeasurable number of huge TV shows including Bless This House, Minder, Benny Hill, The Morecambe & Wise Show, Man About The House, George And Mildred and Magpie. Teddington Studio recordings during these times helped power colour TV recordings and comedy in the UK, many shows being exported throughout the world. As the Express puts it, “The Birthplace of Comedy”. Facilities at the studios were used right up to the closing date to record TV shows – many modern popular programmes were created here including Mr Bean, The Office, IT Crowd, Not Going Out, TV Burp and Would I Lie To You? For more info see this comprehensive Twickenham museum article and TV Studio History for some photos of the studios through its history. See also this great tribute by The Express. Photos: Razor Television (more here). On 24th December 2014, Teddington Studios saw its last tenant, Pinewood officially leave – signalling the end of TV recording on this site. Leading up to this date, the studios were stripped of recording equipment, miles of cables leaving only echoes of the talented entertainers that performed for the cameras and audiences there for a hundred years. As one commenter put it: “Gutted about the closure of Teddington studios, Home of Thames TV, has survived WW2 bomb & Kilroy.” Farewell Teddington Studios, you will be missed but not forgotten. Hello John. I like your photos of Teddington. Myself and one or two other broadcast staff (our area of work is Playout and MCR) would love to see the studios as soon as possible, if possible. We understand most of the equipment wil be gone, but nonetheless would love to visit. 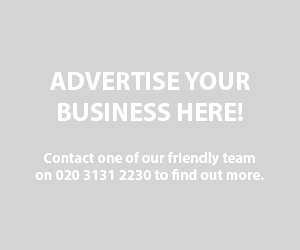 Do you know who best to contact? I had my office there for 2 years – was told to move out in 2012 as they were closing the place down gradually then. End of an era. I like progress and change, but this was one they ought to have kept or independently funded. However, Michael Heseltine and his company were bound to get their way for re-development. Thanks for such an interesting potted history. 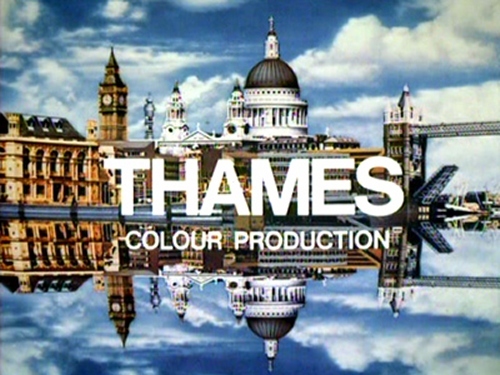 Well, I worked at Thames Television for 20 years, and although I was based in its Euston Road studios, I used the facilities at Teddington (including its floating restaurant, the Thomas Moore) on many an occasion. Time moves on, of course, and the memories are good ones – but the truth is that the site is and always was a piecemeal development, and it’s frankly of little architectural merit. I’m sure the new development will be a great improvement. There should have been more creative solutions to simple demolition. The site could have been transformed into a media studies facility used by a students from a number of colleges and unis. The site could have retained the ability to be used as studio facilities. This would have given the studios a solid business plan and sustainability. The value of the land has been placed higher than the value of the activity on it. There is no way this would have been anywhere near possible. For a start, the entire site was owned by Haymarket (not Pinewood), who had nothing to do with Television and wanted shot of the site. Quickly, and for profit. Pinewood left the site as a shell taking almost everything of use (equipment) with them. The economics of broadcast had shifted significantly, productions attracted to Teddington needed more space. The smaller studios were used during the ‘Freeview boom’ which ended around 2009, leaving all but two of the eight studios on the complex empty ever since, so the space is hardly appropriate for training. 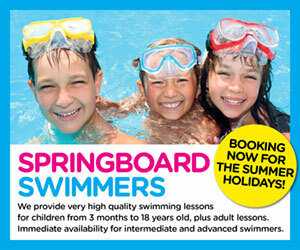 Third, as the site wasn’t owned by Pinewood – it needed huge investment. Both in terms of the physical aspects of the site (especially the floors), and equipment upgrades (none of the studios were permanently HD), as Pinewood focused on equipping its TV studios in Iver Heath, where it owned the bricks and mortar. 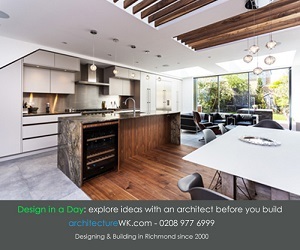 Long story short – there are plenty of modern facilities in and around London that provide training (Ravensbourne being the prime example) with decent equipment.